This is a summary of the life of Lewis Wayne “Dutch” Wilkinson that he called “his adventure,” which ended on January 27, 2019. Dutch was an optimistic, enthusiastic, and kind individual and will be missed by family and friends who will always remember his large smile and hearty greeting. He never met a stranger. Dutch’s story began on January 22, 1939, the youngest of three sons born to Thomas Garland “Duke” and Hazel Graham Wilkinson in Coryell County, Texas, on land that is now part of Fort Hood. With the creation of the fort, the family moved north to Alvarado, Texas. Dutch and his older brothers, Curtis David “Dave” Wilkinson and Thomas Jack Wilkinson began their education in a one room school house with one teacher for eight grades. They graduated from Alvarado High School while working with their father and mother on the family farm. Each of the boys attended Texas A&M University, with Dutch graduating in 1960 with a degree in entomology. The experience at Texas A&M was transformative for all three Wilkinson boys and would continue to influence their lives going forward. Dutch was especially fond of his time in ”Spider D,“ his company in the Aggie Corps of Cadets, principally because of the many relations which continued until his passing. Following graduation and commissioning into the United States Army, Dutch served in the Medical Service Corps before beginning a career in the agricultural industry, which would take him first to Lamesa in 1962 and on to Littlefield in 1964, where he built the West Texas presence for what was then Tide Products, currently Wilbur-Ellis. In 1963, Dutch married Brenda Gay Hughes of Cleburne Texas, and the couple enjoyed fifty-five years of marriage before Dutch’s passing. They had two children, Marcia Rae, who passed as an infant, and Garland Wilkinson, born in 1965. After sixteen years with Tide Products, Dutch acquired a General Motors dealership in Littlefield, which he owned and operated with Brenda’s help until 1990. Shortly afterwards, Dutch and Brenda acquired the Plantation Inn, a lodge in Granbury, Texas, where he and Brenda settled for the remainder of his life. He kept in close contact with his West Texas friends just as he always maintained close ties with everyone from high school, college and the military. Nothing in life brought Dutch more joy than time with his family and friends, particularly while roaming and sharing experiences with others. 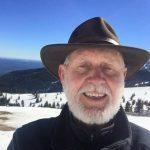 Into his late seventies, he traveled the country from Seattle to Key West on his Gold Wing motorcycle and celebrated his eightieth birthday while downhill skiing at Ski Apache near Ruidoso, New Mexico, where he and Brenda spent considerable time. 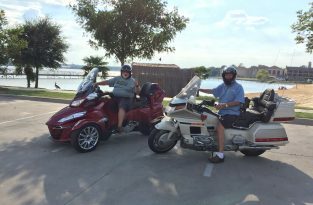 He was active with not only his motorcycle friends and skiing relationships, but also a civil war history group, a traveling Texas history group, and a men’s Bible study group. Of course, spending time with family was Dutch’s favorite activity, including travels with Brenda and the grandchildren to Croatia, Scotland, Ireland, Singapore, Hong Kong and Japan. Dutch is survived by Brenda and Garland, along with daughter-in-law, Melinda, and three grandchildren, Shelby, Grant and Nancy, as well as his two brothers, Dave and Jack, and their spouses, Jane and Alice, respectively. A celebration of Dutch’s life with family and friends is scheduled for 3:00 p.m., Sunday, February 3, 2019 at the First Presbyterian Church in Granbury, Texas. In lieu of flowers, friends are invited to send contributions to The Association of Former Students, c/o The Dutch Wilkinson Class of ’60 Memorial Fund, 505 George Bush Drive, College Station, Texas 77840, for the purpose of providing Aggie Rings for veterans attending Texas A&M. Dutch Wilkinson was one of the very best Christians I ever met.He went to the Thompson community school and then transferred to Alvarado and rode the school bus with me for many years.His last name was Wilkinson and mine was Woolard. He sat in front of me for many different classes in school. He was always friendly, knowledgable, funny, and kind. He made my school years fun and enjoyable and something to look forward to every day.I'll get to see him again one day as we both know Jesus. I was welcomed to the church in Littlefield many years ago by both a warm smile and warm words from Dutch. I can't remember him without that smile and his ability to make you feel that he was overjoyed to see you. We were so saddened that his adventure here has ended and we will miss his presence, as I'm sure so many others will. Brenda, Garland, and the rest of Dutch's family will remain in our prayers. On behalf of the Class of 1960, I express our sincere condolences to Dutch's family and friends, especially to his older brother Dave, a close personal friend of mine. May God hold you in his caring hands at this time. My deepest sympathy to Brenda and all the family. Dutch and Brenda were the leaders of the youth group at our church when I was growing up. They were both such warm, kind and inspirational people. Many decades later I can still remember those times spent with them with great fondness. Dutch was quite special and I know he will be missed by many. My deep sympathy and heartfelt condolences for the passing of Dutch from this world to a better place in heaven and, for the family and friends of this beloved Aggie! He will be fondly remembered and sincerely missed, as Dutch was an admired, respected and true friend! Our deepest sympathy to Brenda and the family. I was fortunate to talk to Dutch on his recent birthday while he was on the slopes. I’ll always remember our visits, jet ski excursions, and bike rides. Our deepest condolence. I was fortunate to talk to Dutch on his birthday while he was on the slopes. I’ll always remember our visits, jet ski excursions, and bike rides. Our heartfelt condolences to Brenda, Garland and family. Dutch was indeed a good man who will be missed by many. Our Prayers and Love. Dutch was a great guy! My father and step-mother, Raye and Lana Wells Collier, always spoke very highly of Dutch and really loved him. He was a trusted friend! I will always remember Dutch as a avid Aggie who loved a good football game in College Station. My father and I send our condolences to Brenda and the rest of the family. Dutch was a very special man. He will be missed by many as well as myself. He was so kind and helped many people. I did secretarial work for Dutch & Brenda for the Plantation Inn. I enjoyed talking to and working with them. Dutch had many great stories about his adventures & travels. My prayers go out to Brenda & their family for such a terrible loss. Dutch I am so fortunate to be able to call you a friend. You made friends everywhere you were . I don’t believe I have ever met anyone with such a joy for life!! I will miss you greatly!!! On your way around Heaven I hope you met up with my Dad You guys will have lot to discover and until I am with you again ! Love You !! We lost a great man. I lost a great friend. My times with Dutch were always a fun learning experience. No matter whether we were road biking, dirt biking, camping, cooking, or exploring; we were having fun. Strangers were only friends he had not met yet. Dutch, while you are talking with our Lord, I hope you let Him talk too. We lost a great man and I lost a great friend. No matter what we were doing; road biking, dirt biking, camping, cooking, or just exploring; we always had a great time. Strangers were just friends we had not met yet. We were always learning. I miss you old friend. Hopefully while you are talking with our Lord, you give him a chance to talk. Dutch was the finest man we ever knew.